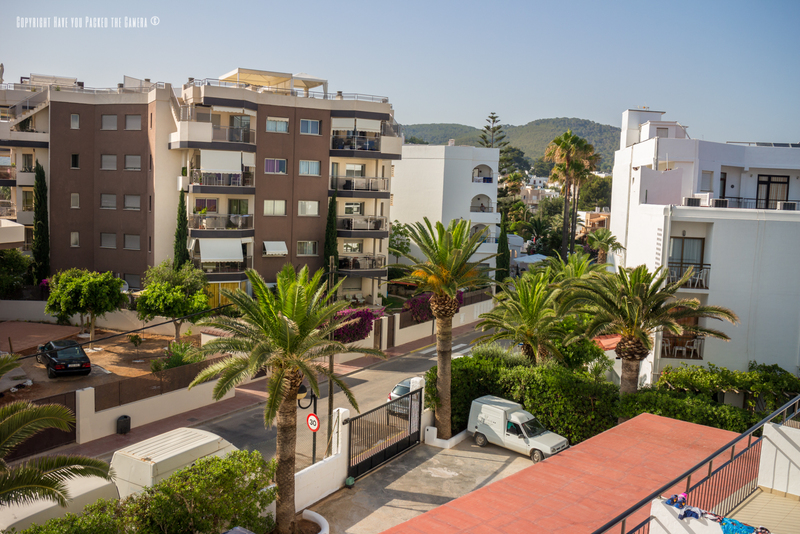 In July 2015 we spent a week in the beautiful town of Santa Eulalia which is on the South Eastern coast of Ibiza. 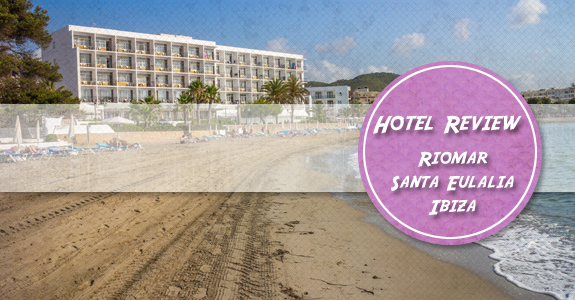 We stayed in the Hotel Riomar which was situated right on the beach on the main promenade of Santa Eulalia. The holiday itself was fantastic and was a welcomed break, we enjoyed the sun, sand, sea and laid back pace of life, and I felt really rejuvenated. 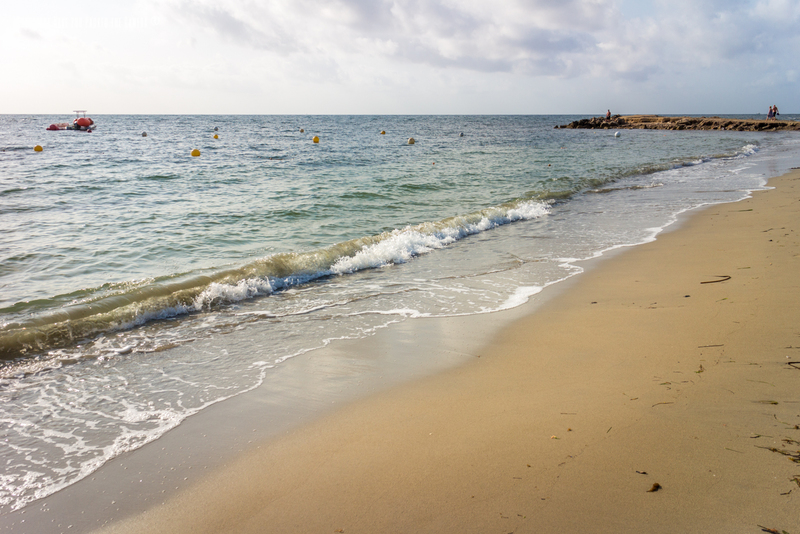 If you are looking for a trip to Ibiza away from the clubbing scene and party areas I would definitely recommend Santa Eulalia. Santa Eulalia - Hotel Riomar is in the town of Santa Eulalia which is situated on the South Eastern coast of Ibiza in the Mediterranean sea. To the west is the pleasant resort of Cala Llonga, and to the east is Es Canar. The transfer from the airport took approximately 40 minutes, but this was with several other hotel drop offs on the way – I would estimate a taxi would take 30 minutes. A taxi to Playa den Bosa (If you are interested in a night out at one of the well-known clubs like Space or the Ushuaia hotel) cost us 32 euro and the journey took around 30 minutes. 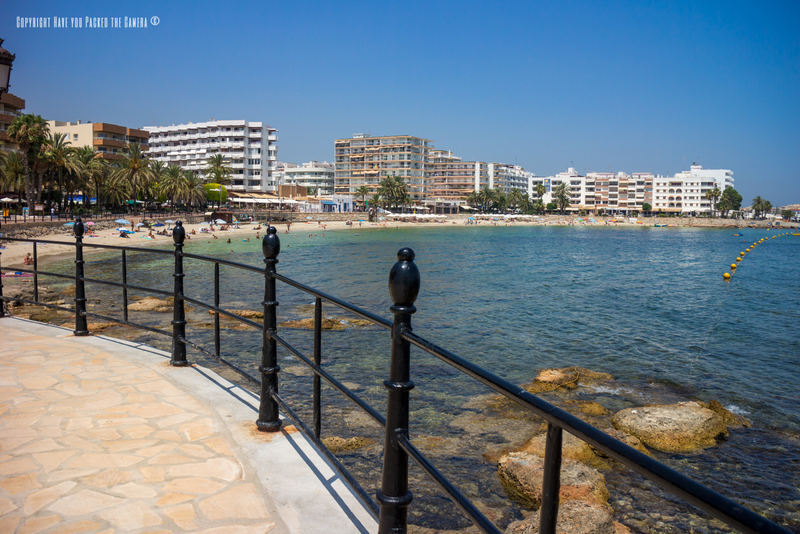 Santa Eulalia is a really pleasant place and has a beautiful promenade to walk down lined with bars and cafes, and the beach stretches for miles. 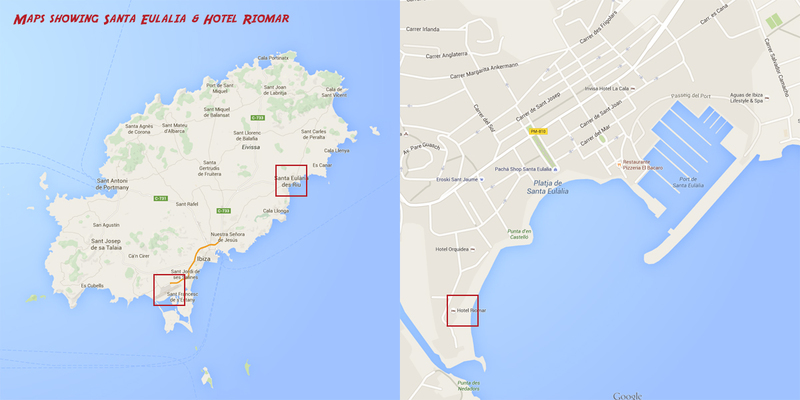 Hotel Riomar – The hotel itself is at the western end of the promenade at Santa Eulalia and is literally 10 paces from the beach. This was definitely the selling point of the hotel for me; it was so convenient to get up in a morning, have breakfast and then walk out onto the beach for a walk and to relax in the sun. There were several small supermarkets, beach bars and café's within a couple of minute walk from the Riomar, so basically everything that you needed was easily reachable. The hotel was in great condition and I could not fault the facilities, and although we didn't use the pool or spend much time in the hotel (mainly because we were on the beach), I wouldn't have minded spending time in the grounds. The reception staff were really friendly and helpful and spoke fluent English – They even let us print off our Avicii tickets on the reception computer! There was also evening entertainment and a disco for the children – We watch a couple of the shows which included a reptile display and a parrot show – They were both really fun and entertaining. The room was *ok*, not brilliant but ok – I am not a fussy person so for me it was fine, but I could see that some people might think it was a little basic. The room was spacious and had plenty of storage, and also a balcony that stretched the full length. The bathroom had a decent sized bath and shower together with toilet and sink. The cleaning service was fantastic – The room was cleaned and tidied every single day and to a high standard, and fresh towels were provided too. The only downside to the room was a lack of air-conditioning – The only method of heat release was the ceiling fan. We did find that the room became extremely warm and stuffy during the day and we had to sleep with the fan on, and the balcony door wide open. Breakfast – This was undoubtedly the best meal provided. It was a typical server yourself buffet breakfast and had a great selection. There was a selection of cold meats, fresh fruit, warm croissants and pastries, a variety of different cereals with milk, bread for toasting, a full English section with Sausage, Bacon, Mushroom, Tomatoes and beans, and also a chef who cooked omelettes on request. I couldn't fault the selection or the quality at all, and we both filled up each morning with a hearty meal. The fresh orange juice was my favourite; I must have had 3-4 glasses each day! Evening Meal – The evening meal in my opinion was disappointing, now this is only my opinion and you may have a completely different experience. It was buffet style same as the breakfast however I didn't feel there was a great choice, and the quality of the food itself felt nowhere near as good as the breakfast. We ended up eating out 5 of the 7 nights we stayed in Santa Eulalia and this obviously added greatly to our cost – I didn't mind though as we found some great restaurants and bars on the promenade, and it was a great atmosphere in the town. We both really enjoyed our time at the Hotel Riomar; it was by no means the perfect hotel and there is definitely room for improvement, especially with the evening meal and the lack of air-conditioning. That being said, the superb location of the hotel in proximity to the beach, and the excellent breakfast were more important factors to us.